The naked vs. The well-dressed... it squeezed its way through my boredom.. lol. 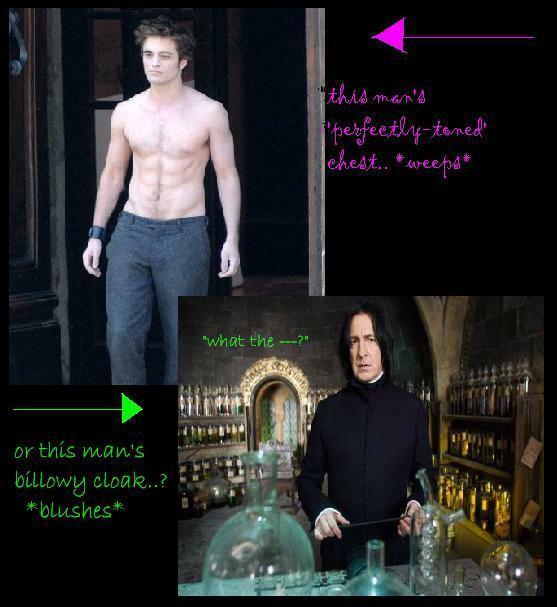 Wallpaper and background images in the harry potter vs twilight club tagged: harry potter edward severus snape. This harry potter vs twilight photo might contain tanda, poster, teks, papan tulis, jalan, pemandangan kota, perkotaan, kota adegan, and perkotaan pengaturan.